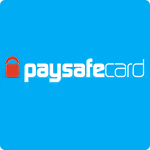 This is a pre-paid card that can be bought from many retailers around the world; Paysafecard was first introduced in 2000 and has gained popularity to become one of the leaders in prepaid cards throughout Europe. The card was first developed in Austria and has different values ranging between 10 euros up to 75 euros for every one card. This card is easily available from any of the 280,000 plus retailers throughout Europe, such as petrol stations, confectionaries and tobacconists to name a few. Once you have decided on the amount you would like to purchase you are then given a card with a PIN number of 16 digits, you pay for the Paysafecard there and then so you know exactly how much you are spending. Once you have purchased the desired amount you can then log onto an online casino or any other casino game provider or retailer on the internet and proceed to pay or deposit the amount of money that you wish to play with. If the deposit or purchase is higher than the 75 euro limit on the Paysafecard you can then go on to insert multiple PIN numbers until you achieve your required amount of money. The same can be said for any deposits that are less than your Paysafecard value; you can keep the rest of the balance for your next online casino deposit! The rest of money will remain in the voucher until you next need to use it. Only you will be able to top up with the remaining credit through a security code that only you will have access to. What can I use Paysafecard for? You can currently only use Paysafecard to deposit money and will need to use a Neteller or Skrill account to move your money out of your online casino bank account. But rest assures that this one of the safest ways to play with a 24 hours a day fraud team on hand that will send e-mails and sms to verify the use of the card by the rightful owner. This method of payment is widely accepted in the online gambling world and is steadily growing rapidly.